Census Commissioner Epeli Waqavonovono said they have formed a partnership with a technology drone company to improve its 2017 census work. Mr Waqavonovono was speaking on Friday at the Census 2017 press conference with Drone Services Fiji. The company demonstrated earlier its capability to bureau officials at the Ratu Sukuna House Building in Suva. Drone Services Fiji director Richard Russell said the firm is a representative of a global addressing system, what3Words. Mr Russell said: “And what we are doing is using our data we collecting with our mapping drones to improve the imagery that is available so that what3words has better imagery. The project will be carried out over informal settlements in the Suva-Nausori corridor. 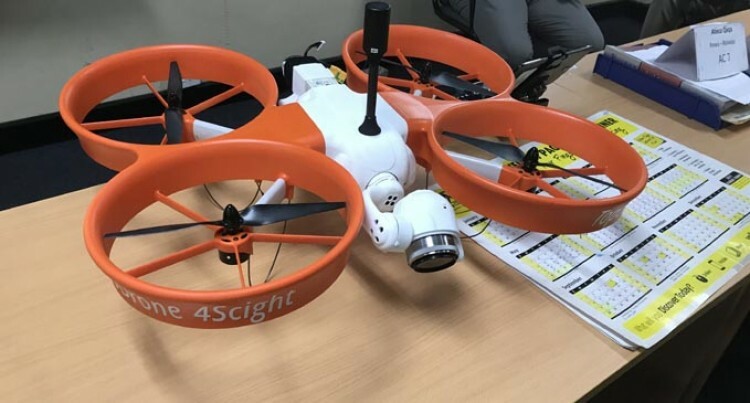 Mr Russell said five drone pilots had been tasked by Drone Services Fiji to capture and map the 27 squatter regions in a period of a week.